In Paris, while serving as Ambassador to France, Thomas Jefferson owned two portraits of George Washington, a full-length by Charles Willson Peale and a half-length by Joseph Wright. Before leaving Paris, Jefferson presented the Peale to Madame de Tessé. 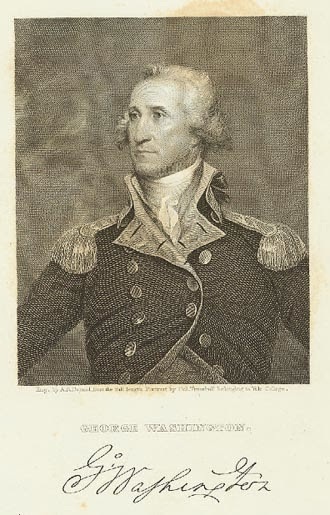 Wright's portrait of Washington became part of the art collection at Monticello. After Jefferson resigned from Washington’s cabinet in 1793, he soon became the leader of the Democratic-Republican Party. He was elected Vice President in 1796 and President in 1801. In his inaugural address delivered on March 4, 1801, Jefferson called Washington “our first and greatest revolutionary character, whose preeminent services had entitled him to the first place in his country’s love.” Later, upon founding the University of Virginia, Jefferson recommended Washington’s Farewell Address as part of the required reading for the study of the Constitution. 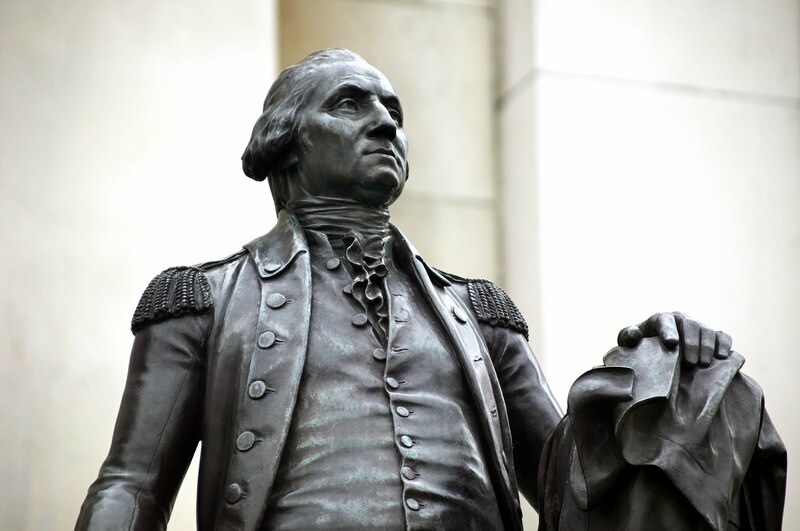 I think I knew General Washington intimately and thoroughly; and were I called on to delineate his character, it should be in terms like these. His mind was great and powerful, without being of the very first order; his penetration strong, though, not so acute as that of a Newton, Bacon, or Locke; and as far as he saw, no judgment was ever sounder. It was slow in operation, being little aided by invention or imagination, but sure in conclusion. Hence the common remark of his officers, of the advantage he derived from councils of war, where hearing all suggestions, he selected whatever was best; and certainly no General ever planned his battles more judiciously. But if deranged during the course of the action, if any member of his plan was dislocated by sudden circumstance, he was slow in re-adjustment. The consequence was, that he often failed in the field, and rarely against an enemy in station, as at Boston and York. He was incapable of fear, meeting personal dangers with the calmest unconcern. Perhaps the strongest feature in his character was prudence, never acting until every circumstance, every consideration, was maturely weighed; refraining if he saw a doubt, but, when once decided, going through with his purpose, whatever obstacles opposed. His integrity was most pure, his justice the most inflexible I have ever known, no motives of interest or consanguinity, of friendship or hatred, being able to bias his decision. He was, indeed, in every sense of the words, a wise, a good, and a great man. His temper was naturally high toned; but reflection and resolution had obtained a firm and habitual ascendancy over it. If ever, however, it broke its bonds, he was most tremendous in his wrath. In his expenses he was honorable, but exact; liberal in contributions to whatever promised utility; but frowning and unyielding on all visionary projects and all unworthy calls on his charity. His heart was not warm in its affections; but he exactly calculated every man’s value, and gave him a solid esteem proportioned to it. His person, you know, was fine, his stature exactly what one would wish, his deportment easy, erect and noble; the best horseman of his age, and the most graceful figure that could be seen on horseback. . . .
On the whole, his character was, in its mass, perfect, in nothing bad, in few points indifferent; and it may truly be said, that never did nature and fortune combine more perfectly to make a man great, and to place him in the same constellation with whatever worthies have merited from man an everlasting remembrance. For his was the singular destiny and merit, of leading the armies of his country successfully through an arduous war, for the establishment of its independence; of conducting its councils through the birth of a government, new in its forms and principles, until it had settled down into a quiet and orderly train; and of scrupulously obeying the laws through the whole of his career, civil and military, of which the history of the world furnishes no other example. . . .
(3) Jefferson to Dr. Walter Jones, January 2, 1814, ME 14:48-52.